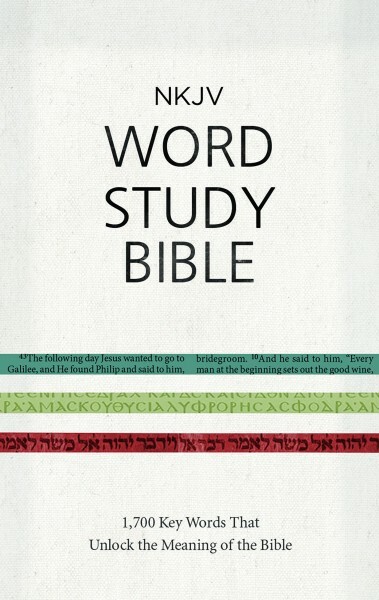 The NKJV Word Study Bible includes 1,700 easy-to-use word studies with select Hebrew, Aramaic and Greek words explained in every chapter from Genesis to Revelation, helping you dig deeper into your Bible study. By looking into these ancient texts we are able to read scripture as it was originally written and passed on from generation to generation, bringing these words to life and allowing you to almost hear Jesus teaching on the hillside or crying out to God on the cross. As you study you will discover the richness and significance of the original languages of the Word of God and experience scripture in a whole new way.